The project will strengthen Ukraine's role in the modern Silk Road project. The Beijing-based China Harbor Engineering Company (CHEC) has completed the first dredging project at Ukraine's Black Sea port of Yuzhny and the handover ceremony was held at the Ukrainian Infrastructure Ministry in Kyiv on Tuesday, January 30. Read alsoInfrastructural renaissance in Ukraine: in the sky, on land and waterUnder the project, the Chinese company has deepened the 25th approach channel of the port to 16 meters, with a record-breaking time for Ukraine and three months ahead of the schedule, Xinhua said. The handover agreement was signed between Lin Tao, the head of the representative office of the CHEC in Ukraine, and Maksym Shyrokov, the head of Yuzhy port administration. Ukrainian Infrastructure Minister Volodymyr Omelyan said at the ceremony that "I'm really happy that the Chinese company won the tender. And this is not just an ordinary Chinese company – it is China's leader in this field." He told Xinhua in an interview that the project will strengthen Ukraine's role in the modern Silk Road project. "Today, China is a strategic partner for Ukraine, and we are ready to develop cooperation in all areas. Therefore, for me, it is very important that the Chinese companies are currently participating in the development of Ukraine's state ports' infrastructure," Omelyan said. Meanwhile, Rayvis Veckagans, the head of Ukrainian Sea Ports Authority, said the dredging project will significantly contribute to the development of the Ukrainian economy in general and the port industry in particular. The CHEC has started the dredging works to deepen the 25th approach channel of the port in July 2017. The works initially were set to be completed in March 2018, but were finished on January 27, three months ahead of the schedule. The project marked the first dredging project performed in the Ukrainian port by a foreign contractor. The implementation of the project has allowed the Yuzhny port to serve large cargo ships of Panamax type. Du Wei, the Chinese Ambassador to Ukraine, said China is glad to contribute to the development of the Ukrainian economy. "The successful implementation of this project will not only boost the capacity of the Yuzhny seaport, but also support the development of Ukraine's agriculture," Du said. 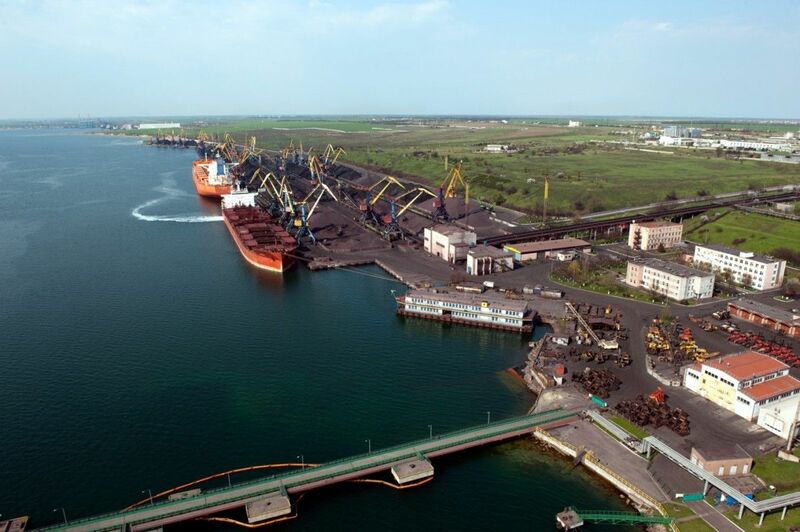 Under the second dredging project at the Yuzhny port, the CHEC will increase the depth of another approach channel at the port and create a 16-meter-deep operational area near the three berths by the end of 2019.